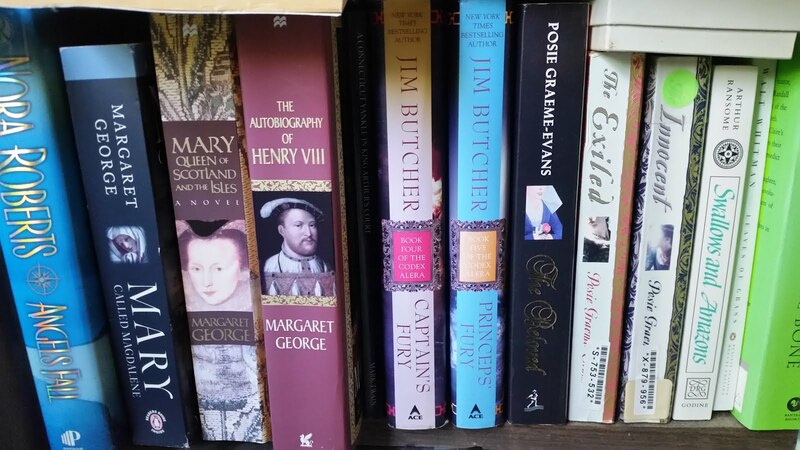 Although my usual is to read books that are mostly told from one perspective, I have read a couple of historical fiction books before that tell the story from the perspective of several characters. Most of them alternate the viewpoints by chapter. What is really different about this book is the use of the different mediums: the letters between the English King and his family, Those between the theater owners, the gossip column, the notes from Parliament meetings to represent the different perspectives. Although this method is unconventional, I particularly liked it because it made it easier to keep where each perspective was coming from clearer in my mind. This book is first and foremost about Ellen Gwynn, who eventually became the mistress of Charles II of England. Underneath that story, though, Priya Parmar includes A LOT of information about many different characters. It required slower reading to get it all in. But, on the other hand, it was wonderful because we not only got to know Ellen, but got a lot of other info about English society during this period. Some may say that there are items in this book, such as Ellen's literacy, that are not true to the times or the history of her life. The literacy issue, in particular, is addressed by the author in her notes at the end of the book. And in truth, I am not one to get embroiled in the veracity of most fictional accounts. Either way you feel, this is a great story with a strong female protagonist and as such is excellent reading. In closing, I really enjoyed both the subject matter (Duh, history buff, here) and the unconventional writing style used by Priya in this book. I loved the characters in this story - they were all so real and vibrant. I can't wait to see what her next project will be! Well done, Priya!